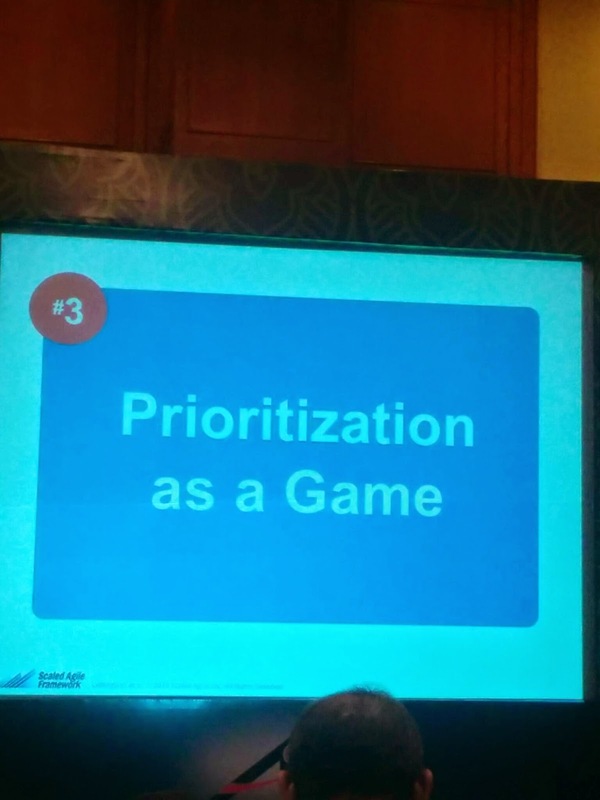 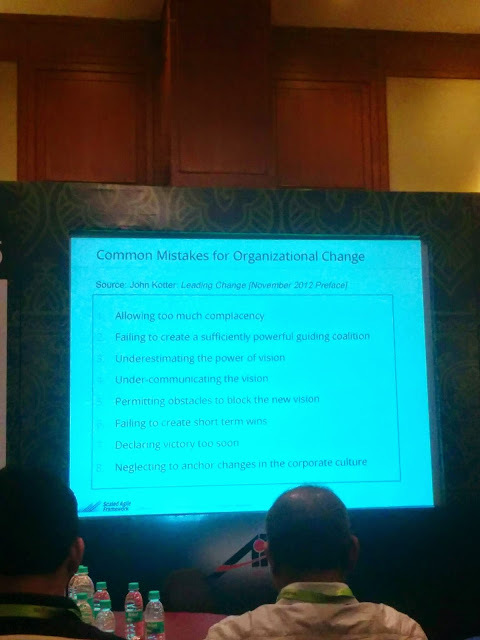 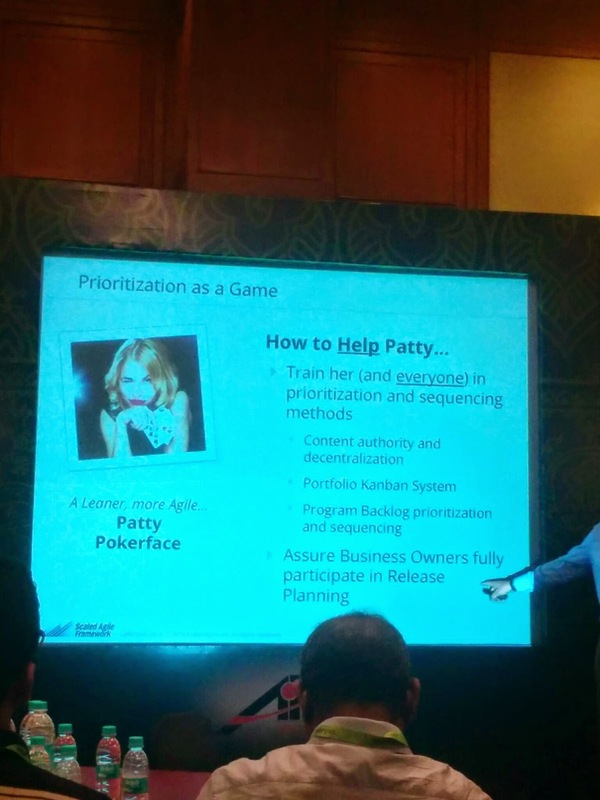 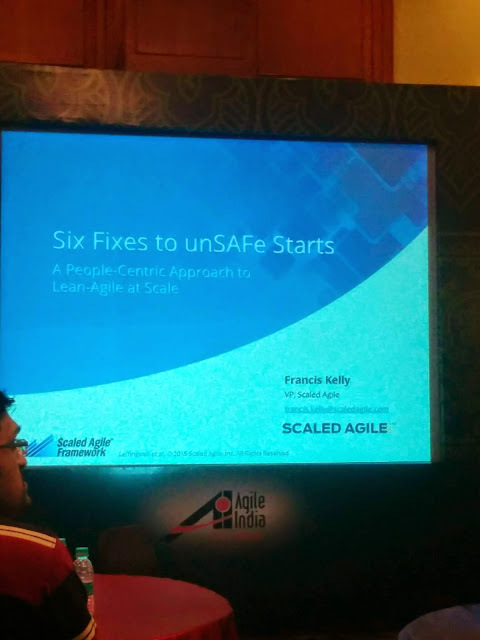 This post is about the learning from the presentation by Francis Kelly from Scaled Agile. 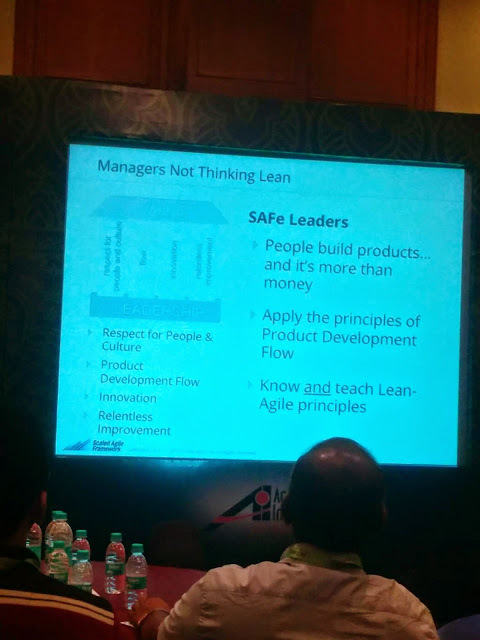 The presentation focused on the people centric approach to Lean Agile at Scale. 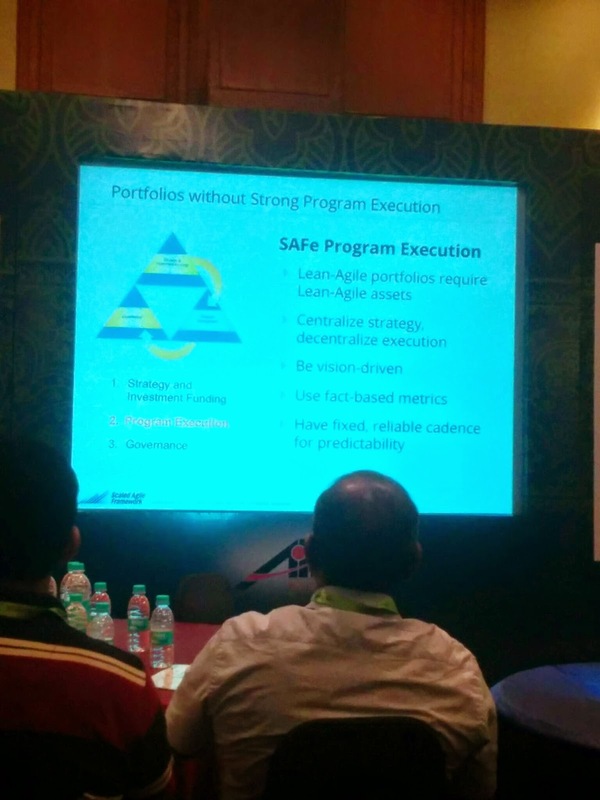 unSafe Starts. 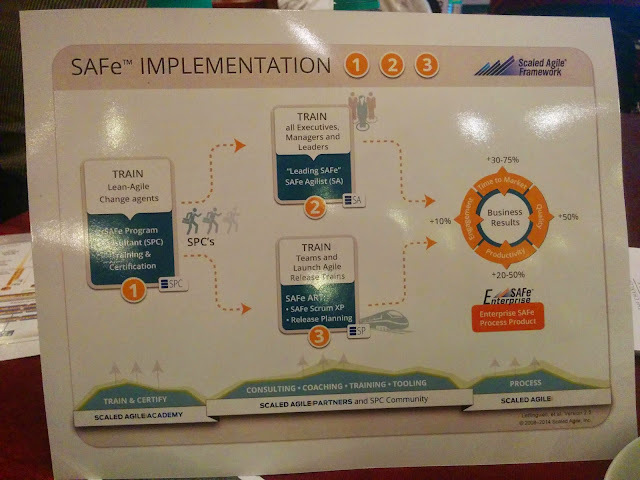 These are some of the key pattern of issues and and how Safe methodology can help in solving the issues. 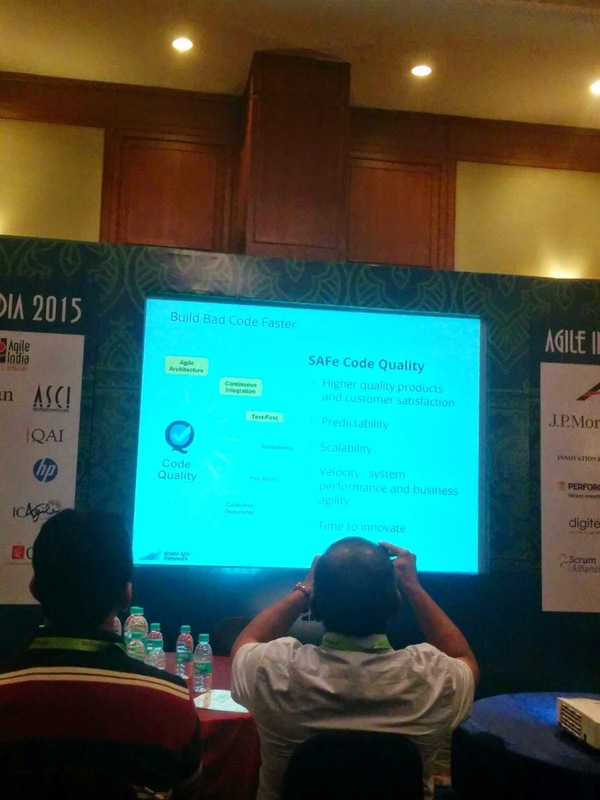 I have noted down the key pointers. 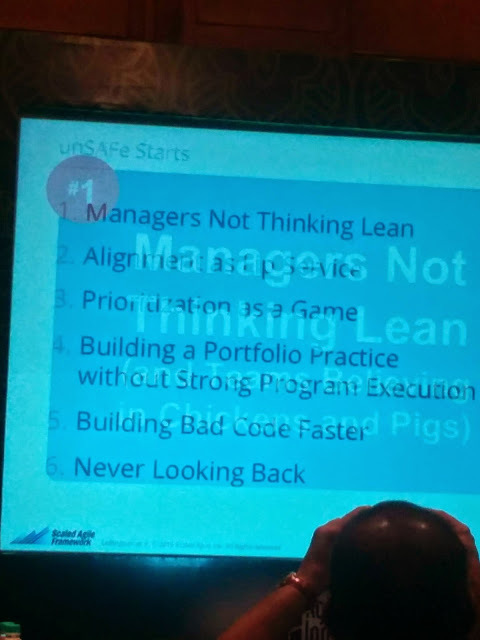 There are teams in which the manager don't lead from the front. Safe can help through clear content, design, release authority, prioritized backlog, face to face planning and prioritized objectives. Key learning from the presentation This presentation focused on the key anti patterns in organization and how Scaled agile framework can solve some of these issues.